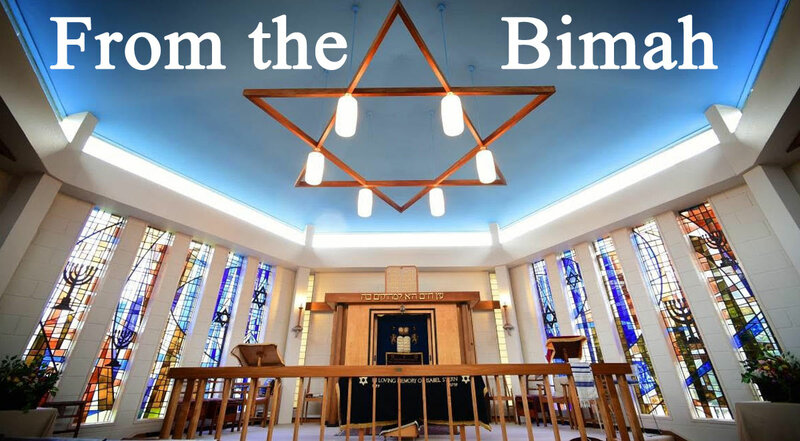 This month “From the Bimah” has been written by one of our congregants, Joel Drouet, who recently took to the Bimah to lead our Shabbat Service whilst Daniel was away. So it is a pleasure for us all to read his thoughts on the role of song in our services. “Raise a shout to the LORD, all the earth, break into joyous songs of praise!” So we are urged to celebrate in Psalm 100, to make the proverbial “joyful noise.” As I was asked to write a word for this month’s “From the Bimah,” and particularly on the heels of that excellent concert on June 25 by the Zemel Choir—what a magnificent performance!—I thought maybe a few musical thoughts might be in order. First—I’m no musician. Not at all. I can’t read music, much as I’ve tried, and can’t get beyond the basics easily. The Psalmist sings about making that joyful noise with the lyre and trumpets and horns…the best I can do is just a bit on guitar (it’s more accurate to state that I play with the guitar, rather than playing it, and it makes a fine decoration), and that only through much effort and the good guidance of a local teacher. (We’ll leave trumpets and horns out of this). Sometimes I’m afraid it’s more “noise” than “joyful,” to be honest. And yet…and yet, it’s an aspiration, the joy of the amateur, and as Dave Grohl, musical genius behind “The Foo Fighters” advises, you have to just get out there and DO it. He’s right; that tentative first step is essential, like Nachshon* jumping into the Yam Suf. For many of us, I’m sure, the idea of a worship service without music of ANY kind is unthinkable, inconceivable. We are quite fortunate in the NHC that there are some powerful and lovely and incredible voices in our congregation, led by such a talented chazzan as Daniel. What power, what feeling, what an impact upon our souls and psyches thanks to the music, especially in those moments when we come together and the magic happens! Who doesn’t feel the joy during the Torah procession, the poignant tightening in the throat as the Ark is closed? From the very earliest, we have reason to believe that the Torah and the Haftarah were meant to be chanted. Part of the reason may be that the impact upon the listener is that much more profound when words are placed in melody and conveyed through song. Music seems to enhance long-term memory, too…think of all the songs we can remember from years and decades past. In many cultures with oral traditions, a significant part of one’s education includes memorizing important works by singing them. Indeed, we can often find our place in the service when we walk in just from hearing what’s going on at that moment, and part of this is because we feel the melody of that portion. With the emphasis in the Shema on inscribing the words deeply into every part of our lives—music is a powerful tool for making this possible. I’ve been keen for some time to get beyond stage fright, move from reading and reciting prayers and Haftarah and Torah, and learn to chant them, to move from speech to “joyful noise”—the way tradition seems to recommend. Certainly there’s nothing at all wrong with reading and recitation, but I found it a good challenge to give chanting a try. Happily we live in a time unlike any other in the past when one can learn virtually anything through the Internet. There are many good resources available to the interested learner. 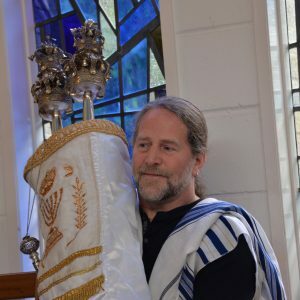 I’ve found some quite useful ones online, such as the excellent Mechon Hadar site, with a variety of voices and styles, nigunim (melodies) for all services; another is SiddurLive.com. As for publications, I’ve benefited from The Art of Torah Cantillation, complete with CD. But the very best sources, I find, are local. Our services are an excellent first place to begin and a constant source of inspiration, guidance, modeling, and reinforcement for learning to sing, as well as providing opportunity to practice by learning through doing—and it’s always been such a supportive, welcoming environment! Some of you know that your voices are my guide during the services, and excellent guides they are. I owe a particular debt of gratitude to Alex Bennett, whose excellent printed and recorded guide to chanting Haftarah has been invaluable and indispensable in learning. Thank you once again! * Nachshon – reputed to be the first Israelite to “take the plunge” when Moses parted the “Red Sea” (Yam Suf)….nowadays a metaphor for taking a chance.